The Insight Edit: How do consumers shop for food and drink online? Recently, we have seen a real emergence of great online food and drink brands and retailers, from niche food retailers such as Planet Organic to the booming sector of food subscription services such as Gousto. To further understand online food & drink shoppers’ evolving behaviours and attitudes, we asked our Panel whether they purchased food and drink items online than and their motivations for doing so. 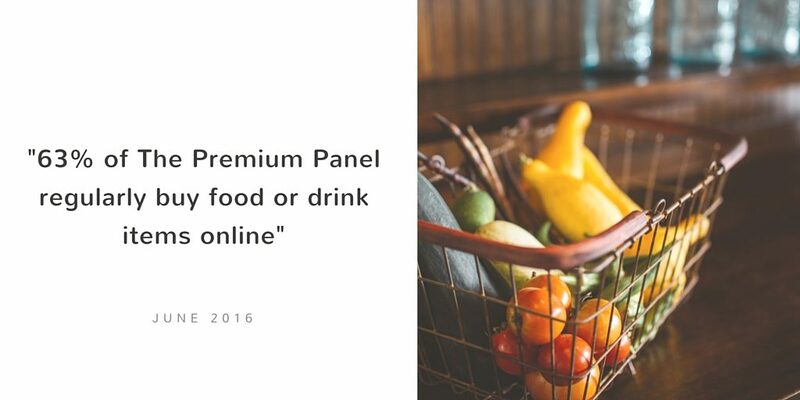 63% of the panel stated they had bought food or drink online (excluding supermarket groceries). Although this figure may appear to be behind other sectors, it’s still a large percentage of consumers and it shows growth opportunities for the sector. With such a low percentage of our panel being driven by price, brands and retailers selling food and drink online do not need to be price driven to drive sales as long as they are offering seamless and easy path to purchase. Successful online food and drink brands will be those with a clear and engaging brand and a range of products that are not easily available in stores. Read more about the food and drink retailers who are engaging successfully with their customers in our latest engagement report which looks into the growing food and drink subscription sector. Mobile has grown significantly in recent years, and with that, the reliance on email has become a significant driver of revenue. 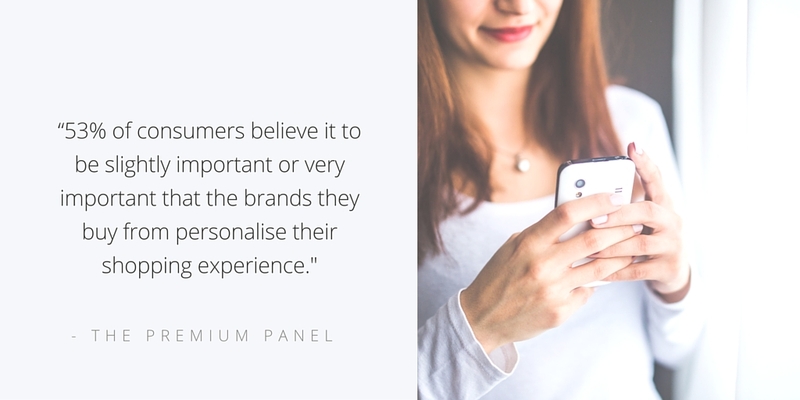 For that reason, this month we wanted to ask our Premium Panel how they view and engage with email marketing from brands and retailers. 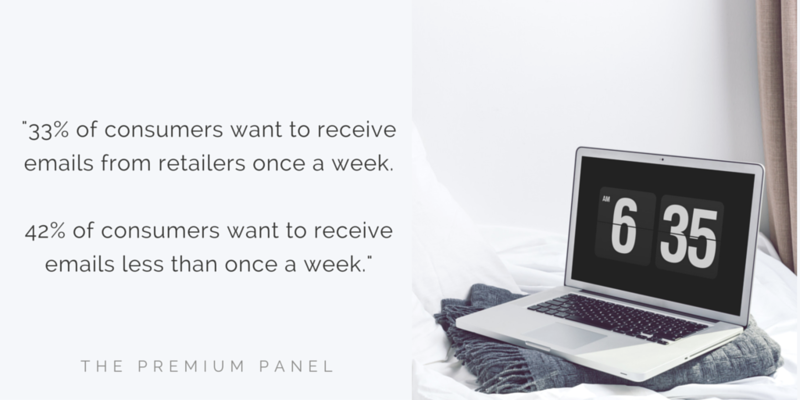 In last week’s Insight Edit we looked at what devices and time of day our Premium Panel prefer to receive emails from retailers. Following on from this, we wanted to understand how often our panel would like to receive emails from their favourite brands. First, we asked our panel to select the frequencies they would prefer to receive an email from their favourite retailers. The most popular frequency for email was once a week with 33% of respondents selecting this option. However, 17% of consumers expressed that they wanted to receive emails more than once a week. These figures show that across age and gender there is no specific pattern to preferred frequency. This means that retailers should decide on the frequency of their emails based on the engaging content and offers they can provide, the seasonality and turnover of the product range and, of course, asking those who sign up for emails what their preferences are. Then, of course, retailers must constantly test, learn and refine based on how their customers are engaging with and responding to the emails they are sent. Insight Edit: What do consumers really think about mobile payments? The movement towards mobile payments has been touted as the next big thing for some time now. There are now a range of services now widely available that allow the consumer to purchase items in-store directly from their mobile phone. Apple Pay is one such example, and allows anyone with an iPhone 6, Apple Watch and later edition iPads to make payments on any touchless payment point from a number of different credit card accounts. Although there are already millions of UK consumers who have registered with mobile payment technology, we wanted to find out just how many were using it, or intended to in the future. 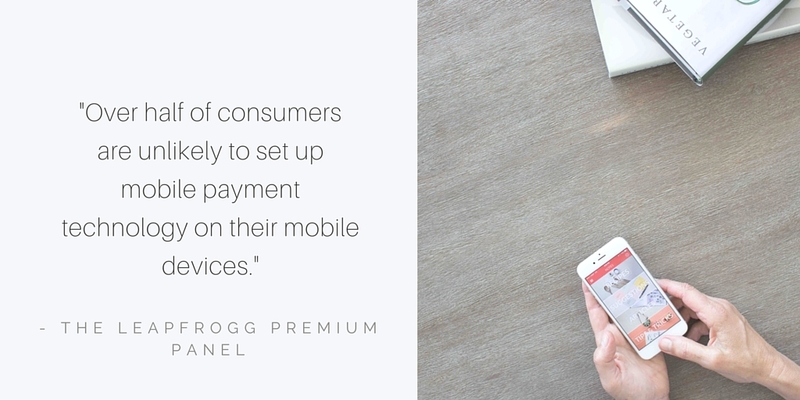 We therefore asked our Premium Panel how they were currently using mobile payments. Only 6.72 % of respondents said made purchases using their mobiles, with a further 7.48% stating that although they had the technology set up on their phones, they had never used it. This means a total of only 14.2% consumers have taken any action to move towards making purchases on their mobile phones. A further 14.35% plan to get mobile payment set up in the near future. We then asked our panel why they weren’t keen to utilise mobile payments. 46% of our panel stated that they did not trust the technology, highlighting the fact that they were worried about fraud and the security risk. 45% stated that they didn’t need to use their mobile as they had a card they could easily use. A further 26% were worried that a mobile is too easy to steal and 12.24% felt it was just a gimmick. These stats show that whilst mobile technology is making huge advancements, consumers’ opinion is currently still rather behind. This is not to say that opinion will change over time. Many people were had worries about fraud and stolen cards when contactless payment was introduced, but now are more than happy to ‘tap’ for their purchases. We will be interested to see how consumers adopt these new technologies in the future. Insight Edit: How much personalisation do today’s premium consumers want? Personalisation is a growing trend for retailers looking to enhance their customer experience. Leading retailers are building various forms of personalisation into their marketing tactics. It is no longer enough to just address emails personally, consumers now expect the content of their emails to be personalised to their shopping habits and preferences. Website content can be tailored according to previous behaviour and display ads can be shown according to the way a consumer has behaved across multiple websites. In light of this, we wanted to understand our Premium Panel’s attitude to personalisation. We asked them how important it was that the brands they buy from personalise their communications based on their preferences and previous purchases. A further 35% were indifferent, deeming it neither important nor unimportant. This means that only 12% think it unimportant that brands personalise the experience. These figures show how important it is that retailers begin to build an element of personalisation into the experience they give their customers. Showing your customers you are aware of their favourite products or providing offers that suit them will not only generate additional sales but also increase loyalty too. By personalising the experience you give your customers across any channel, you can show them that they are a valued customer. If you can make your customers happy, they will ultimately buy more and remain loyal. It’s a win-win situation. There are plenty of clever tools to allow retailers to start using personalisation across their digital channels with very little cost implication. So what are you waiting for? Insight Edit: When are your customers doing their Christmas shopping? Every year, Christmas messaging, promotions and products seem to appear earlier and earlier and the big stores have been releasing their all important Christmas adverts in early November. Retailers must carefully manage the experience they give their customers throughout the Christmas period to ensure they have the right stock and promotions in place. We wanted to find out when our panel members were intending to start their Christmas shopping this year to ensure our clients planned their activity accordingly. Not surprisingly, it turns out that the big stores have released their adverts at exactly the right time with 80% of our consumers having started their shopping before or during November. Therefore, retailers need to ensure their Christmas stock and seasonal offers are up and running by early November at the latest. With 40% starting before late September, it could even be prudent to have maximum stock and early offers on the go from early October. This all may seem like a given, but we have seen the odd retailer leaving their Christmas messaging far too late in the season potentially missing the boat on maximising return during this key period. 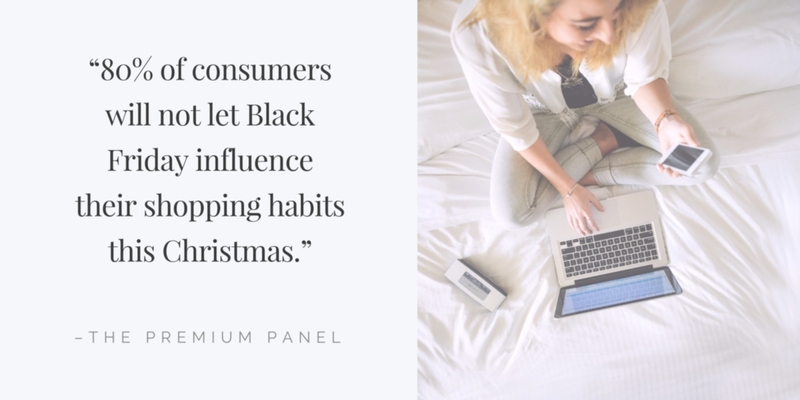 Insight Edit: what do premium shoppers really think of Black Friday? Every month, we question them on a range of topics from buying behaviours and brand opinion, to emotional purchase triggers and their recent shopping experiences. Christmas is looming and the press are already whipping up a frenzy over Black Friday. Apparently this is going to be the biggest Black Friday yet, and consumers must be ready to snap up the amazing deals that are going to be on offer. However, through many discussions with our retail clients, we’ve heard first-hand that Black Friday does not actually have a beneficial impact on Christmas revenue. At best, it simply moves consumers spend within the period and at worst – it can actually have a negative impact on revenue and the perception of the retailers and brands that take part. Our advice has always been to be as strategic as possible about your involvement. Don’t jump on the discount bandwagon and carefully select the products you are going to offer on sale and avoid the peak trading crunch that can lead to logistical problems and a poor experience for your customers. We are also unconvinced that all of hype around Black Friday will really have that big an effect on consumers shopping plans this year. So of course we asked our Premium Panel, and guess what? Consumers couldn’t really give a hoot. Yes, that’s right – 40% said they had no intention of waiting until Black Friday to do their Christmas shopping, and another 40% said they might make a purchase if something takes their eye on the day, but they won’t base their shopping plans around it. A further 10% said they had not even thought about Black Friday yet. Only 2% of consumers stated they were waiting for the arrival of Black Friday to start their Christmas shopping, showing there seems to be very little enthusiasm for the event so far this season. We looked at whether answers differed according to household income and gender, but opinions were similar across all segments. So is Black Friday just hype by the media? Perhaps so. We have started to see a backlash in America, where larger retailers have decided to shut their stores on Black Friday. Will retailers follow suit over here? Our advice to retailers? Stick to your usual Christmas strategy and ensure you are offering an exceptional shopping experience throughout the entire period. Don’t get caught up in offering crazy discounting as it may well disrupt your entire trading period or encourage low value customers who are unlikely to have a high potential lifetime value. By all means, offer a Black Friday discount or offer, but perhaps focus on a specific range of items for that period and ensure your high earning products are available consistently at good value for the whole of the shopping season. In today’s consumer led world understanding “who” your customer is and what they want from you is crucial. Only with this knowledge in place can you start to tailor the right shopping experience to your consumers, leading to increased acquisition, conversion and loyalty across all channels. To put this in perspective, recent research from Econsultancy found that marketers, on average, see a 19% uplift in sales when they personalise their web experiences to their customers. So many retailers are basing their marketing on their vision of who they want their customer to be and NOT who they actually are. Having an idea in your head of who you are selling your product to is a crucial starting point when creating a brand and a marketing strategy. However, once you’ve created a customer base, you need to pay attention to who they actually are and why they bought from you in the first place and start to tailor your marketing accordingly around those who are likely to spend the most with you. It depends on what you class as rich, but in truth, many of our clients’ customers are not extremely wealthy and a large proportion of them save up to purchase their products. If treated well at the beginning of their relationship with you, these lower income customers can turn out to be high value loyal customers over time. I am sure many of them are, but a great deal of those who buy premium products are normal people with normal shaped bodies and normal lifestyles. Don’t ignore them. You may not want them as brand flagbearers, BUT alienating them will not do you any favours. We have found in our research that a high percentage of fashion consumers value images of the products they are buying on real life models. Don’t assume that if people can afford to buy high ticket items they are not price conscious. The buying drivers for many have changed over recent years, and although a more affluent customer may have money to spend, they are still looking for good quality and value for their purchases. In a survey to Leapfrogg’s Premium Panel we found that 30% of premium consumers feel more valued by a brand who gives them money off their purchases. In the past this may have been the case, but those buying from luxury brands are getting younger and younger – they ‘live’ online and frequently buy high value items. Bricks and mortar stores will always play a role in the premium shopping experience, but the role of online will only grow. The above are just some of the incorrect assumptions we see made about premium consumers on a regular basis. There are many ways of discovering more about your customers which you can read about in my previous blog post: Customer Insight – what you should know and why. The Hype: what’s hot and happening in premium retail this month? Welcome to The Hype – a monthly digest of the hottest products, trends and innovations from the world of premium and luxury retail, hand-picked by our Premium Panel. Last week Selfridges claimed to be the first department store in the world to open its 2015 Christmas shop as it bids to capitalise on summer tourist trade. This year’s big trends include personalised decorations, black and white monochrome and iconic London decorations, which are expected to prove popular with their key target audience of tourists. What do you think – too early? As part of Selfridges ‘festive concept space’ mentioned above, the online marketplace, Etsy, will be launching a pop up space as the online marketplace takes a further step into the bricks-and-mortar space in the UK. Etsy, which sells handmade and unique products created by around 1.4 million sellers across the globe, will stock a host of products based around Selfridges’ ‘Journey to the Stars’ Christmas theme. At least six Etsy sellers will be selling products such as dream catchers and astrological prints at the store. The sellers will also be on hand to lay on live crafting sessions at Selfridges. July also saw accessories brand The Cambridge Satchel Company team up with iconic designer Vivienne Westwood for the second time to produce a limited edition collection of bags. The new collection features three of The Cambridge Satchel Company’s styles in three lust-worthy colour ways printed with Westwood’s iconic squiggle print. The print is screen printed directly on to the leather by the printer that has produced Westwood’s iconic Pirate Boots for over 30 years. The range is available exclusively at Vivienne Westwood and The Cambridge Satchel Company’s stores and cambridgesatchel.com and definitely offers a more affordable option to anyone lusting after a Vivienne Westwood bag. You can take a look at the collection here. High-end department store Harvey Nichols has become renowned for creating controversial adverts that get people talking, and their latest ad for their new Rewards app, continues their tried and tested formula. The online film, created by Adam&EveDDB and produced by the Layzell Brothers at Blink, shows security footage of real-life shoplifters stealing from Harvey Nichols and being caught by security staff. The shoplifters’ identities are concealed by the addition of cartoon animated faces which adds a touch of humour to the advert. In addition to the online film, there is also a print campaign, showing stylish shoppers being caught red-handed, and in-store activity reminding potential shoplifters that there’s now a legal way to get a freebie by using their new loyalty app. 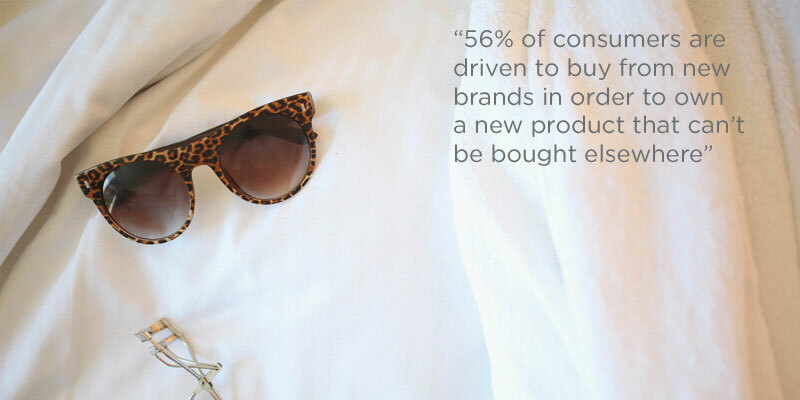 Insight Edit – how do consumers view new brands and retailers? 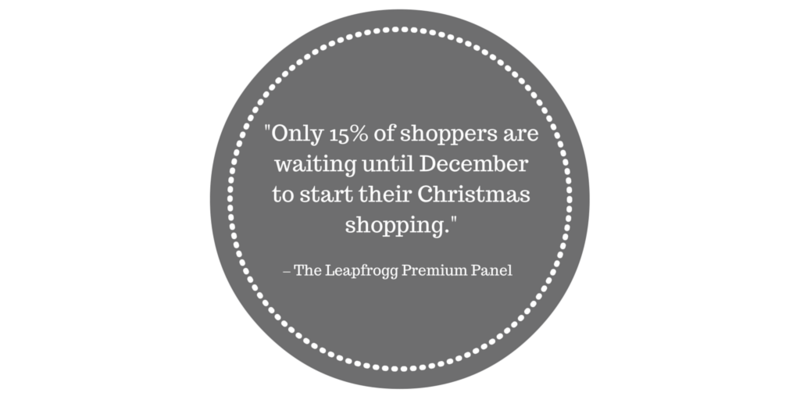 Here at Leapfrogg, we have a panel of more than 800 premium retail consumers that we engage with on a regular basis to help us understand customer needs and expectations from the brands and retailers they buy from. Every month, we question them on a range of areas from buying behaviours and brand opinion, to emotional purchase triggers and their recent shopping experiences. The Insight Edit is our weekly bite size edit of the insight we gain from our panel in our search to truly understand the mind of the premium customer. With the wealth of large established retailers in every sector online, it has become increasingly difficult for new brands to break through and compete. Here at Leapfrogg, we often work with start-up brands and helping them find their voice and place against the likes of ASOS, John Lewis and Amazon etc. and we wanted to understand why consumers might choose shop with a new retailer or brand or go elsewhere. We asked our panel their thoughts on shopping with new brands and retailers and found that a large percentage of our panel only shop with established retailers they have shopped with before. We then asked the panel what their biggest concerns are when shopping with a new brands and retailers. The worry of payment security was felt to be the biggest barrier with 54.9% of stating that this would stop them purchasing from a new retailer. This drives home the need for new brands and retailers to make their security and fraud precautions clear on their website, and build up reviews from customers who have had a secure purchases. This information will reassure potential customers that they can shop safely. Following payment security, the next biggest barrier was worries around the level of customer service the customer will receive if there are any problems (16.9%). A key piece of advice for new brands is to ensure they are offering the exceptional customer service right from the start. 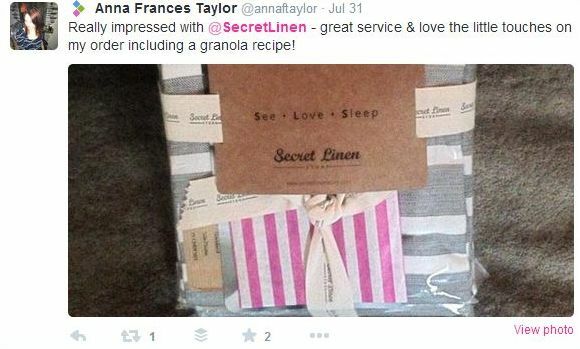 A personalised service is often easier for new brand as they have a smaller pool of customers to communicate with. Invest in this area right from the start and give customers an exceptional experience that they will want to shout about! Ability to return an item was the next biggest issue with 14.8% of the vote. Ease of returns plays a huge part in the creating a good customer experience retailer, so again, make sure you invest in the infrastructure to provide a quick and efficient returns process for your customers. If the above are the barriers to purchasing – what will encourage and inspire consumers to buy from a new brand or retailer? Our survey found that a new brand or retailer that can offer products that can’t be found elsewhere, will stand a much better chance of success in the short term. If a new retailer is unable to offer exclusive products then make the experience you offer exclusive. Invest in creating the ultimate shopping experience for your customers that can’t be found elsewhere! 28.8% of consumers are drawn to new retailers by price and special offers. This may be the case, but it is dangerous to go into the market by discounting as it will be very difficult to sell products at full price in the future. Our advice to any new brands or retailers entering any sector is to differentiate yourselves, shout about your payment security and ensure your customers’ first experience shopping with you is amazing! 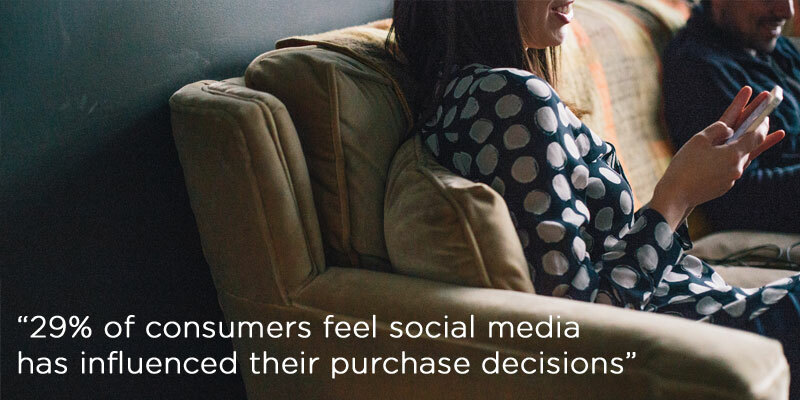 Insight Edit – Does social media influence purchasing decisions? As the importance of social media within the digital marketing mix continues to increase, retailers are focusing on how to measure the commercial impact of those channels. In light of this, we wanted to find out if social media had influenced purchasing designs for premium retail consumers within the last six months. To do this, we asked our Premium Panel if they followed any of their favourite brands on their social channels. 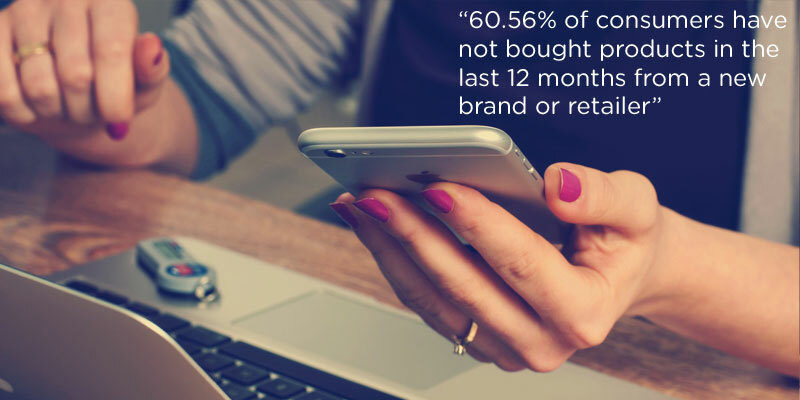 We then asked those who replied ‘yes’ (57%), if they had purchased a product from a brand as a direct result of seeing it on a social media. As a result, 55% of our panel said that they had been directly influenced on those channels to purchase a product. The fact that nearly 30% of our respondents were able to recall a time where social media played a role in their purchasing decisions underlines the importance of brands getting the communication on their social channels right! When you’re planning your social engagement strategy, make sure you really understand which of your customers are engaging with you online and communicate with them accordingly. Different customers will follow you on different channels. One size does not fit all, so ensure you do not put the same message and communication out across all your social channels. 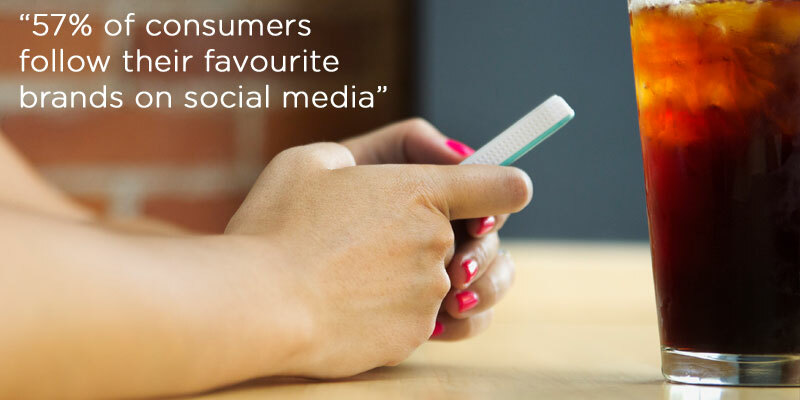 To find out more, you can download our series of ‘Engagement Reports’ to find out which brands we believe are doing the best job of engaging their customers across their social channels.